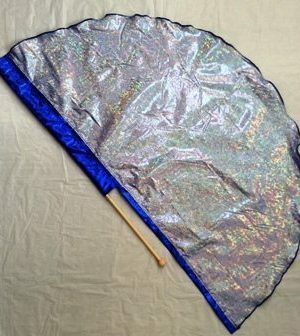 Flag Size Choose an optionLarge 58" x 30"Medium 49" x 28"Small 42" x 26"
THE GLORY CLOUD-Sparkle Wing Flag G.C.#18-These are beautiful Wing Flags in any of the 5 available sizes.The Spin tube poles that they are on are included in your price. They flow so beautifully and come in many different colors. 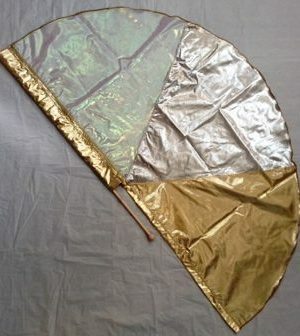 They are made of a 100% lightweight see through fabric called Sparkle. It sparkles as the light hits it. The small ones are 42″ from tip to tip and 24″ inches from the sleeve that fits over the pole out to the outer side edge they are $25.00 each. The Med. are 49″ x 26″ for $30.00 each. The large are 59″ x 30″ for $35.00 each. The XL. 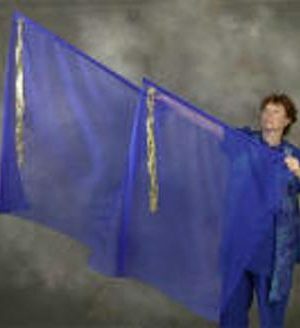 are 70″ x 34″ for $40.00 each You will receive a free DVD with the Flag which shows you prophetic movement to “Rehearse the Scripture.” Your flag comes with its own clear plastic storage sleeve to keep it protected when not in use. 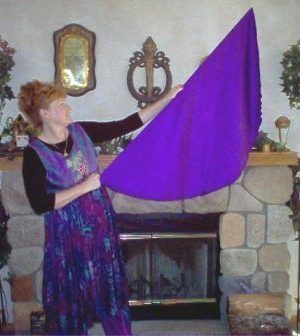 We also send along the scriptures that pertain to the flag that are found in the Bible. This picture does not do this flag justice. 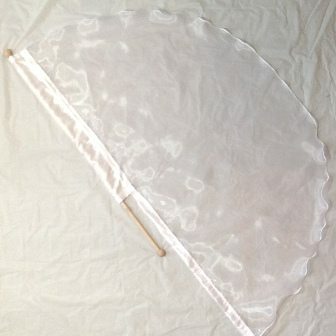 it is a very beautiful flag to use in a dance and this particular one that is a shimmery crystal white is great for a Bride or resurrection theme. 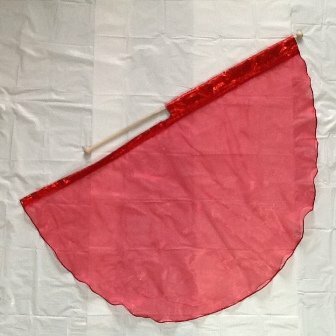 Because we make these flags in house please allow a couple of days to up to a week for us to make and send out. They will be sent Priority Mail which is a 2-3 day delivery. If you need them sooner please call us at 517-639-4395 and we will see what we can do for you. The price is for (1) flag.